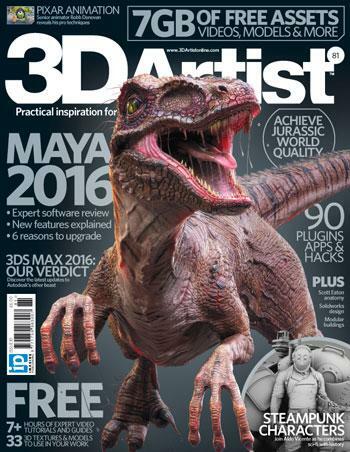 3DArtist #issue 81 makes a review of best plugins for 3d Max and Maya, Pulldownit by Thinkinetic is included among best FX plugins for both of them. This issue features other interesting articles as Modelling a hi-end velociraptor, Rules of animation by Pixar artists and many more,.. worth to chek it! This entry was posted in News and tagged educational training, robot destruction pulldownit, wood shatter animation plane by thinkinetic. Bookmark the permalink.